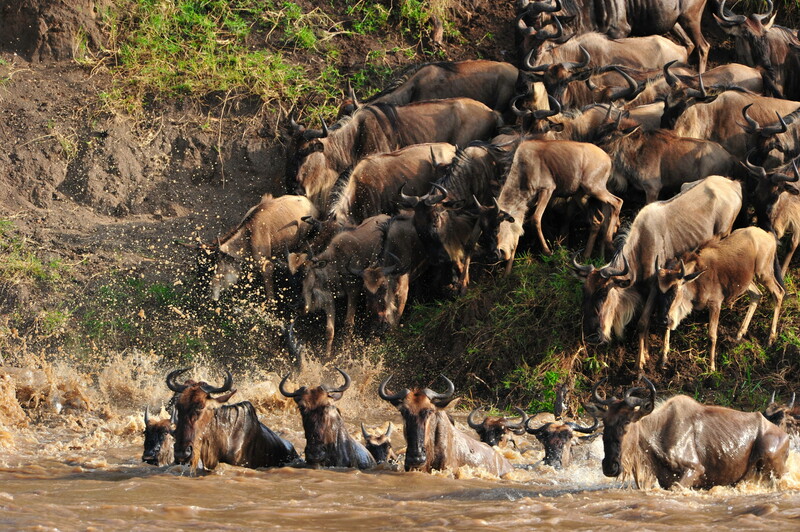 August is peak season for safaris in both East and Southern Africa. If you would like to enjoy a safari this time of year, book now for next year, to avoid disappointment! The dry season in August really settles in making it easier to spot the animals as they congregate in denser numbers around the permanent water holes, river banks and streams. The bush and grasslands are various hues of brown, so predators blend in nicely, and prey is easier to find with less dense foliage to hide in. If you want to track chimpanzees this is the best month to go – either in Tanzania or Uganda. 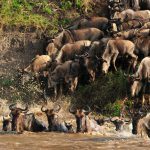 For those of you following the great migration of wildebeest and zebra in East Africa, August is peak season for Mara river crossings in Kenya. Guides on the ground have the best insight into the timing and positioning of this incredible event. Crossings can happen at random points along the river, and the huge herds go back and forth all season depending on which side the grass is greenest. If you’re lucky you may be one of the view to witness it, but chances are there will be a line of vehicles alongside you. 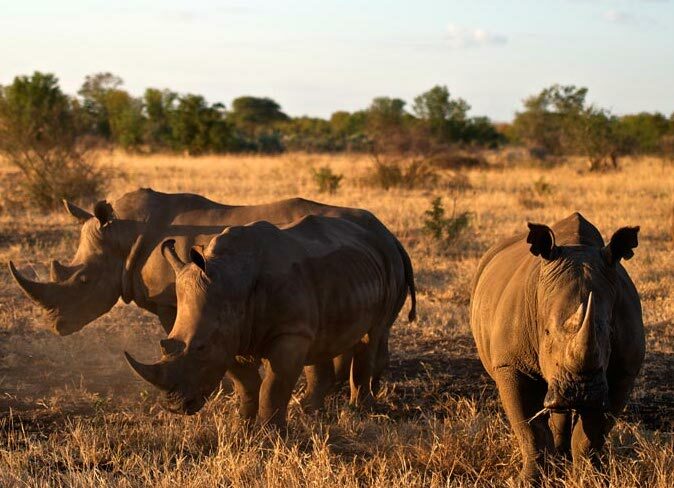 This is why we recommend staying at a luxury tented camp in the much less crowded conservancies this time of year, and only head in to the National Reserve for a day. 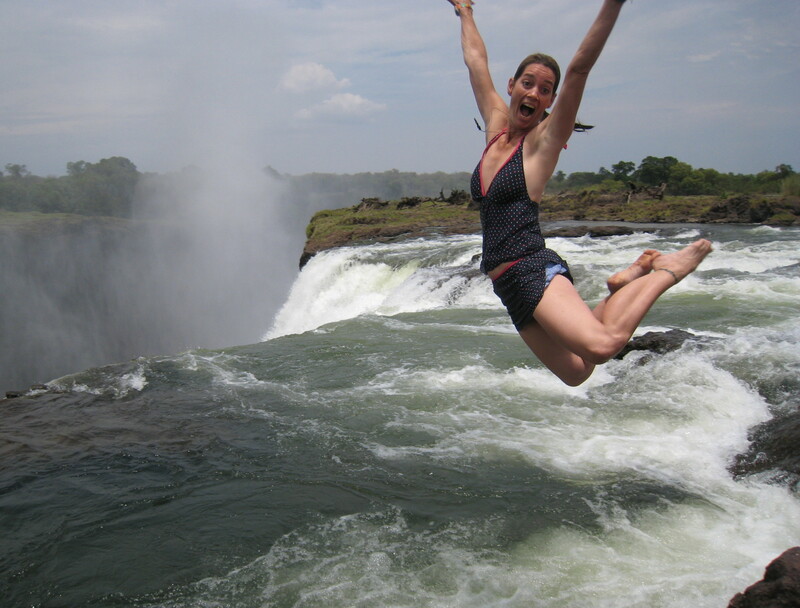 Victoria Falls in August are at “low-flow” and best seen from the Zimbabwe side to get a frontal view. Even during the low water volume, it is a truly spectacular sight and you will still get doused in spray and see plenty of rainbows. 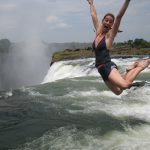 But do take a trip over to the Zambia side so you don’t miss out on leaping into Devil’s Pool from Livingstone island. The natural pool rim offers spectacular view over the edge of the Falls and is only possible during this season when the water flow is lower. In Botswana, colorful carmine bee-eaters arrive in the Savute and Linyanti area to nest, it’s a riot of color that compliments the host of wildlife in this area. Further south the Okavango Delta offers water activities as well as game drives at many camps, as the water-levels are high. Water-based camps are at their most beautiful and scenic this time of year. 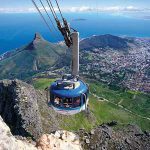 Cape Town can be a touch chilly during August, so wrap up warm and take advantage of scenic drives to the Peninsula and cosy fine-dining in the city and Winelands. 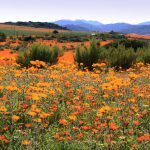 A drive into the Karoo to marvel at the Namaqualand flowers will also warm you up – it’s the most splendid sight, check out some of these images. 24 July – 6 August – The Cable Car on Table Mountain closes for maintenance every year for two weeks. 11-2 August – The Hermanus Wine and Food Fair, combines great food and wine with a spot of whale-watching. 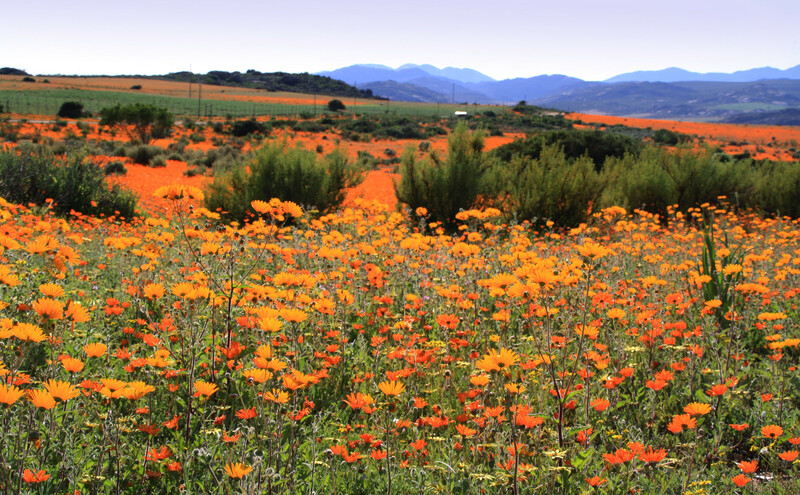 This event attracts South Africa’s best wine producers as well as its best olive and cheese farmers. 12 August – World Elephant Day is celebrated around the world to help bring attention to the urgent plight of Asian and African elephants. 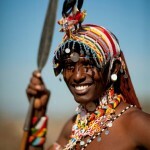 August (annual) – The Maralal Camel Derby is an international event attracting contestants from all over the globe to help promote awareness for the Samburu people. While you’re in the area, don’t forget to enjoy a few nights on safari , Saruni Samburu is one of our favorite places to stay in Kenya. August (annual) – Imilchil marriage Feast – a Berber marriage festival where up to forty couples tie the knot. It takes place in Imilchil in the Middle-High Atlas Mountains near Marrakech. The festival is a great way to experience Berber culture including music and dance.